Why is it so hard to find a bulk billing GP in Canberra? It’s a well-known Canberra complaint: finding a bulk-billing family GP is just about impossible. For new arrivals in town, accustomed to seeing a sign about bulk billing in the window of their local GP practice in Sydney or Melbourne, it’s an irritating adjustment to make. Dale Rheynolds is a mother of three, who moved to Canberra from Sydney a few years ago. Paying to visit a GP, particularly with her kids, was a completely new experience. “We have never paid to see a doctor in our whole lives,” she said. “There was one on almost every corner. It wasn’t an easy adjustment to make – primarily, it’s a regular expense she simply wasn’t used to accounting for. “My weekly grocery bills and household bills were always calculated without this sort of cost,” she said. Dale said she now avoids going to the doctor unless it’s “absolutely required”. She asked Curious Canberra to find out what’s so unusual about medicine in the ACT. Dale’s complaints aren’t new in Canberra and Medicare figures help explain why. According to data from the Federal Department of Health, 83.7 per cent of GP visits across Australia in the 2015-16 financial year were bulk-billed. In the ACT, 55.6 per cent were bulk-billed. It is by far the lowest rate of bulk-billing nationwide, with Tasmania the next-lowest at 75.1 per cent. However that figure has been climbing in recent years – in 2003-04 it was 36 per cent. Ongoing shortage of Canberra doctors. Dr Suzanne Davey is a GP and part-owner of the Kambah Village Medical Practice. She puts the disparity between Canberra and the rest of the nation partly down to an ongoing shortage of GPs in the ACT and an oversupply in the major cities. “Because there’s an oversupply of doctors, they bulk-bill, that’s the way they attract clients,” she said. But Dr Davey makes clear that while GPs like herself do not advertise their bulk-billing services, they do bulk-bill many of their patients at their discretion. She estimates between 30 and 40 per cent of her patients are bulk-billed, with fee-paying patients essentially subsidising their healthcare. “I tend to bulk-bill the elderly and people on healthcare cards. And I bulk-bill a lot of children – certainly all children under five,” she said. She said bulk-billing practices are simply not offering the same thing as private billing practices. “My impression, as a practice owner, is that you can’t bulk-bill and offer an adequate service,” Dr Davey said. “Practices that bulk-bill are just able to give what we call six-minute medicine. Bulk-billing doctors may be hard to find in Canberra, but they certainly exist. Dale said when she first arrived in town she tried walk-in centres, where no appointments can be made, as well as after-hour home-visit GP services. But she said she can’t afford to potentially wait hours at a walk-in centre and can’t access after-hour services in her suburb in Canberra’s south. One alternative that has emerged is a GP co-operative. Adrian Watts is the managing director of the National Health Co-operative (NHC), which offers fee-paying members unlimited access to bulk-billed doctors. He said the bulk-billing situation in Canberra is easily explained. “There’s still a shortfall of around 80 to 100 GPs in the ACT,” Mr Watts said. The NHC emerged in Belconnen’s west over a decade ago, as a direct response to the lack of available bulk-billing GPs. It received some start-up funding from the ACT and Federal governments and has now spread to eight locations across the ACT – with plans to move interstate. “You’ll find us opening in Yass in the next two months,” Mr Watts said. “In the next 12 months, you’ll find us opening in three other states and territories. AMA: Bulk-billing in Canberra ‘pretty right’. 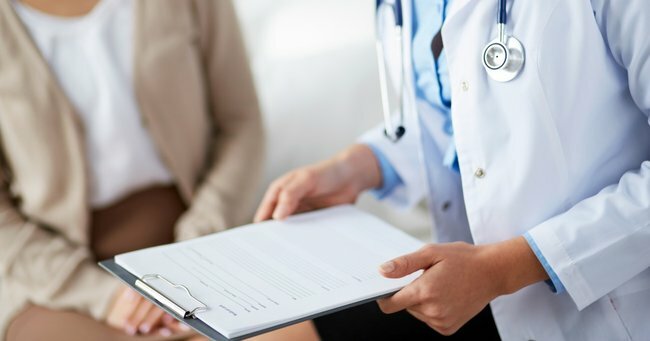 The local branch of the Australian Medical Association (AMA) says the current system, where family GPs decide which patients they will bulk-bill based on personal circumstances, has its merits. ACT AMA president Professor Steve Robson said doctors are simply charging those who can afford to pay. “ACT doctors get it pretty right – the patients who need it are bulk-billed and for the patients who perhaps don’t see doctors very often, might only see them a few times a year, it’s not such a big economic thing,” he said. The Federal Government made moves in the recent budget to try and increase bulk-billing rates, including by lifting the Medicare rebate freeze for GPs from July 1. The national AMA welcomed the move, but some GPs warned it is unlikely to change much. Professor Robson said most GPs decide not to bulk-bill, because they want to spend more time with their patients. “Just spending the time with [patients], to solve their problems and being a good family doctor just takes a bit longer,” he said. Dale Rheynolds is a communications professional and mother of three. She moved to Calwell with her family from Sydney two years ago, and was surprised she couldn’t find a family GP that offered bulk-billing. She says with three kids, it was a bit of a shock – and she hopes bulk-billing doctors become more available in future.